Get a 10% discount for our maintenance-free portable reference electrode. The Model IT contains a gel rather than a liquid so it can be used in all positions. The gel provides long maintenance-free service. 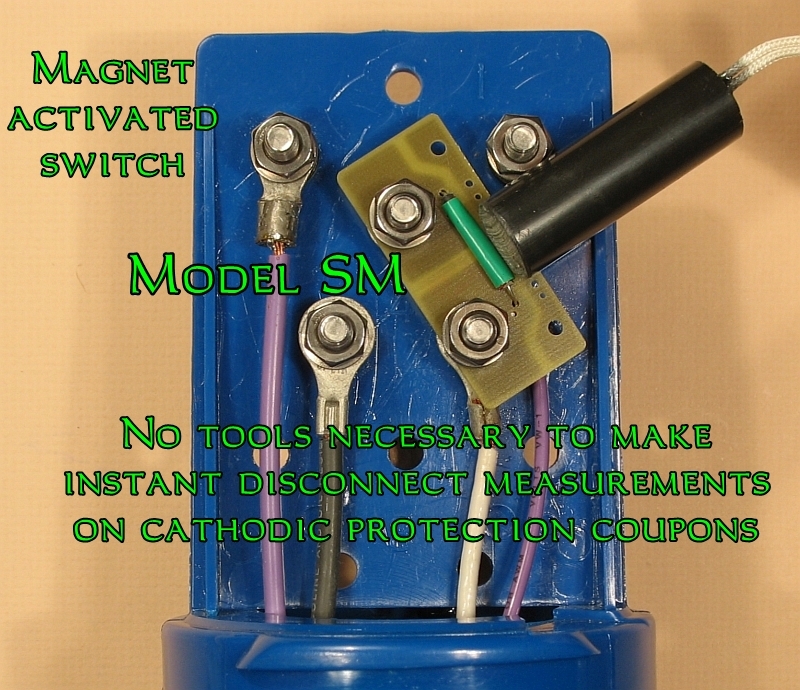 The Model IT can be ordered with a temperature indicator bonded to the Model IT electrode body. Obtain potential readings in elevated temperature/pressure environments or in contaminated solutions. Provides IR free potential readings without the necessity for interrupting current. Linear distributed impressed current anode for aboveground storage tanks, buried pipelines, elevator shafts and marine structures. Measure potentials on tubesheet face. Measure potential profiles beneath aboveground storage tanks. Electrochemical Devices Inc. (EDI), founded in 1986, specializes in the design and manufacture of products for monitoring and controlling corrosion. All of our products are manufactured in the USA. Our primary expertise is permanent reference electrodes and cathodic protection coupons. EDI products are designed for engineers and others responsible for monitoring or controlling corrosion. Our products are designed for easy installation and have the longest service lives in the industry. We design and manufacture the following products. Permanent reference electrodes - products available for all applications used to monitor the potential of a structure. Impressed current anodes - linear distributed and probe-type with platinum and mixed metal oxide coatings. Specialty monitoring devices - concentric cathodic protection coupon and probes for LPR measurements to assist the corrosion engineer in determining the extent of a problem. Custom designs - products designed to meet the specific requirements of an application. Information for the NorthEast Corrosion Conference where EDI's products will be on display. Copyright © 2009 - Present by Electrochemical Devices, Inc.
Antarctica: A trip to the bottom of the earth.Penguins.